Amazon is one of the most diverse and expansive retailers in the world, so it’s no wonder their gift cards are so common. Available at virtually every grocery store in the country, as well as dozens of online retailers, Amazon gift cards are a favorite gift or “thank you” token. In some cases, though, the person who receives the Amazon card doesn’t find it as valuable as the individual who gave it. In these cases, the giftee is in a sticky position: keep the card and let it go to waste or find out how to exchange it for something more exciting? Fortunately, the latter is becoming an option more and more people are pursuing, and it’s easier and faster than you likely ever imagined. Here’s what you need to know. While being saddled with an unwanted gift card can be tough, you’re lucky if the card in question is an Amazon card. Why, you ask? The answer is simple. 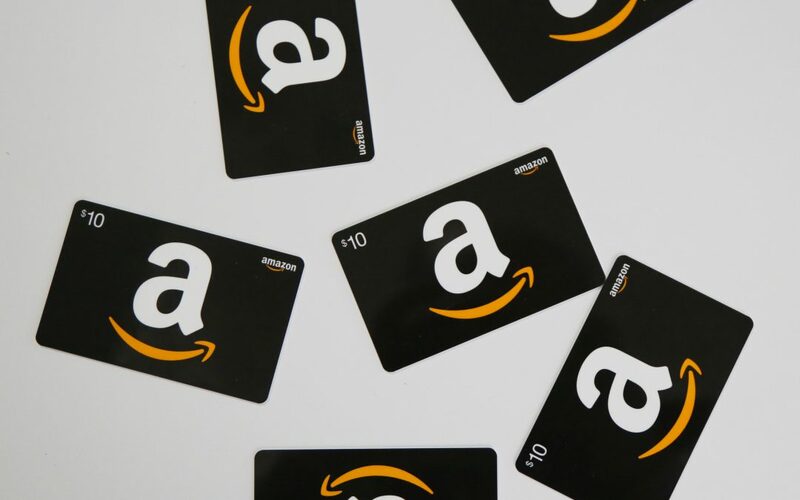 Amazon gift cards are some of the most valuable gift cards in the entire gift card industry, and they’re exceptionally easy to resell or exchange. This means you won’t be struggling to find a buyer for your new card or being disappointed at your return on the card’s face value. What’s more, since the Amazon card is so versatile (you can purchase everything from pet food to cleaning products to designer clothing on the Amazon site), virtually very gift card reseller works with “The Everything Store” as a merchant. This only serves to streamline your exchange process further. The first step in selling or exchanging your Amazon card is to gather all relevant information and consolidate it in one place. To do this, you’ll need details like the card’s face value, its complete card number, and its PIN number, if it has one. Once you’ve collected all this information, write it down on a slip of paper, so it’s easily accessible. Again, virtually every card dealer will work with Amazon cards, so you won’t have any trouble finding someone who is willing to take it. For best results, do a bit of research before you commit to any one card reseller. Some have payment methods that are slower than others, and some simply won’t give you the face value you’re looking for. You’ll also want to ensure that the card reseller you choose has positive customer reviews and a history of serving its clients well. Once you’ve done your research and selected a reseller, it’s time to move on to the next step. Once you’ve found a reseller you like, it’s time to get an offer for your card. This is a fast process, and it’ll happen as soon as you enter your card’s information into the reseller’s sales or exchange page. If the offer looks good to you, all you have to do is accept it. If not, you have the option of denying it and continuing to look for a better value. The final step of the process is just exchanging the card. While you can sell the card straight across for cash, you may prefer to select a different gift card merchant and just trade your Amazon card for one of their gift cards. Most gift card resellers support this, and you’ll be finished with your new gift card in hand (or a digital code for it in your inbox) in just a few moments. Nobody likes being stuck with a gift they won’t use, and this is no different with gift cards. When you choose to trade your unwanted Amazon card, you’re setting yourself up to get something much more valuable and exciting in return. Even though Amazon is one of the most diverse online stores in the world, not everyone loves shopping with them, and swapping out an Amazon gift card for one you’d rather have is a smart way to honor yourself and get something you deem truly valuable in the process.